While on paper it is known as Resort World Genting, this South East Asian city of sin or better yet the Las Vegas in the mountains is a truly unique spot to visit in Malaysia. The main bait that lures visitors to Genting is its offer as the only legal gambling spot in Malaysia. To sweeten the deal, the resort is also home to some of the best indoor entertainment areas to keep the children happy. As if that’s not enough to widen the eyes of any tourist, the resort also offers a plethora of great hotels, extensive dining and shopping options, business centres and other entertainment facilities. If you are arriving by plane, you will need to fly into Kuala Lumpur. From there, you will need to catch a train to KL Sentral and then onto a connecting bus to Genting. When you are in KL, you must try the awesome hawker food – I have a few recommendations for hawker food at different parts of Kuala Lumpur. For shopping, Petaling Street and Central Market are good starting points for cheap bargains and crafts. If you are looking for deals on electronics and or reliable supplier of OEM ink cartridges, check out Low Yat Plaza. For those that are already in Kuala Lumpur, the Go Genting Express Bus collects visitors from multiple points in Kuala Lumpur. 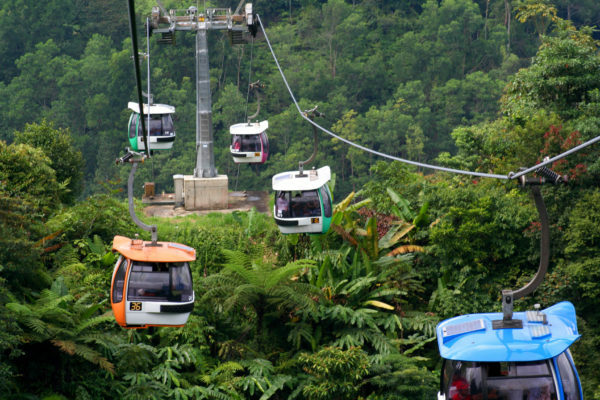 All the buses take you to the base of Genting where you will catch a cable car up to the resort. The cable car takes about fifteen minutes and offers a lovely view all the way through. You shouldn’t have an issue getting a ticket but it is advisable to book in advance during holidays and weekends. If you are coming to Genting, chances are you are going there to gamble. The casinos run 24 hours but you must be at least 21 years of age to enter. While it is not necessarily enforceable, the casinos do maintain a strict dress code which prohibits T-shirts, shorts and flip flops so you may want to pack appropriate attire. The Casino de Genting as it’s called is split into a multitude of themed areas but the biggest one by far is the Monte Carlo. International visitors will be granted an exclusive pass to the “International rooms”, a VIP area which requires that you sign up to the Worldcard. Snow World – This indoor winter wonderland is a majestic treasure trove of snow and glitter for kids and adults to take an enchanting escape into another world. Apart from wondering around you can also buy a ticket to see a glorious 3D art show which features fantastic optical illusions and facades where you will have plenty of chances to snap some great family photos. Video Games Park – The Vision City Video Games Park is a massive park dedicated to those who love video simulation machines. There is plenty of digital fun here to keep everyone in the family distracted and you’ll be marvelled at how quickly time can fly when you’re plugged into these machines. There is also a great selection of interactive attractions to keep you and your family busy all day. Bowling – As if gambling is not enough to get the adrenaline going, the 28 lane wide bowling centre at Genting is a new addition to the entertainment wing. Make sure you check in before you go as they host a range of promotions throughout the year. Malaysia offers some of the finest cuisine in the world but if that’s not your thing, there are international options too. 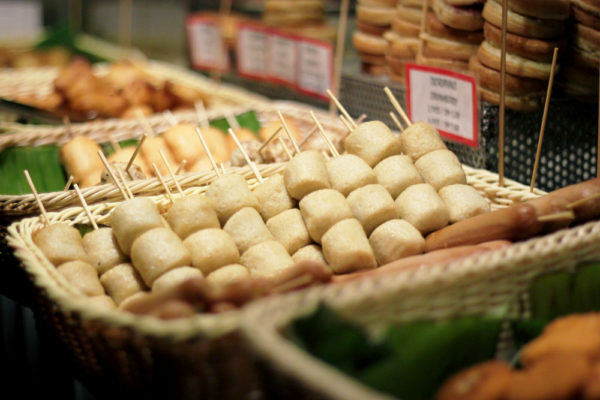 Malaysia Food Street is a modern food court filled with traditional Malaysian offerings. For more western options, the pizzas at Motorino are a winner and for a more elegant night out then put on your best dress and head over to the Olive. Barbecue lovers will also love the portions at New Orleans Barbecue. If you fancy a drink, you can’t beat a trip to Cloud 9, the highly touted speakeasy themed bar. It’s a great venue to dress up, grab some cocktails and listen to some great music. 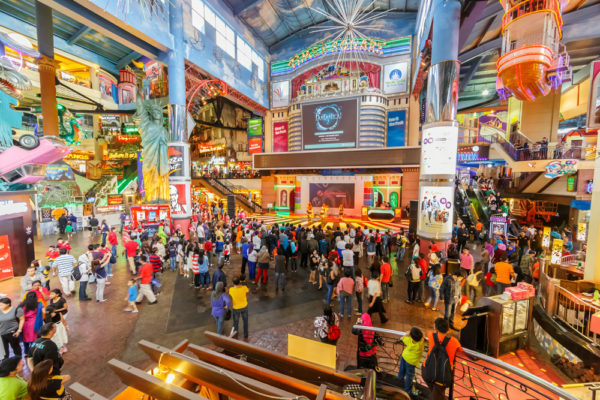 Not that you need another reason to visit Genting Highlands but this huge complex also has a great showroom which features a fully packed calendar of events throughout the year. Expect to see live music and other shows from both local and international acts. Stars such as Black Eyed Peas and Elton John are performers who have held events there.